over the world, but perhaps the hardest to follow were those which took place in the Eastern European nations, the ones behind the so-called "Iron Curtain", or in Cuba, due to the secretive nature of its regime. The recent death of Cuban leader Fidel Castro opens new doors to any UFO information that may have come about on the island. 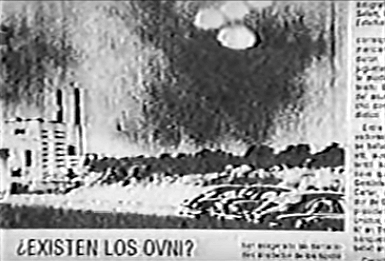 It has been learned that Cuba censored all matters related to the UFO phenomenon for over 37 years. One of these cases involves the peasant Adolfo Zarate, who was pursued by a "wave" of UFO reports throughout the island of Cuba in October 1995, at which time the Cuban government was forced to admit the existence of UFO documentation in this regard. This documentation acquires special meaning after Castro's death, particularly on a subject whose censorship was mandated on the island.